About a week ago, I released my can size sleeve HERE. This one is the slightly larger size good for cups. I love these for all seasons. They are great for cold weather when you don't want to burn your hands with your cup and for hot weather when you don't want wet hands from sweaty cups. both sizes also work great for sippy cups. Which size you use would depend on the cup. 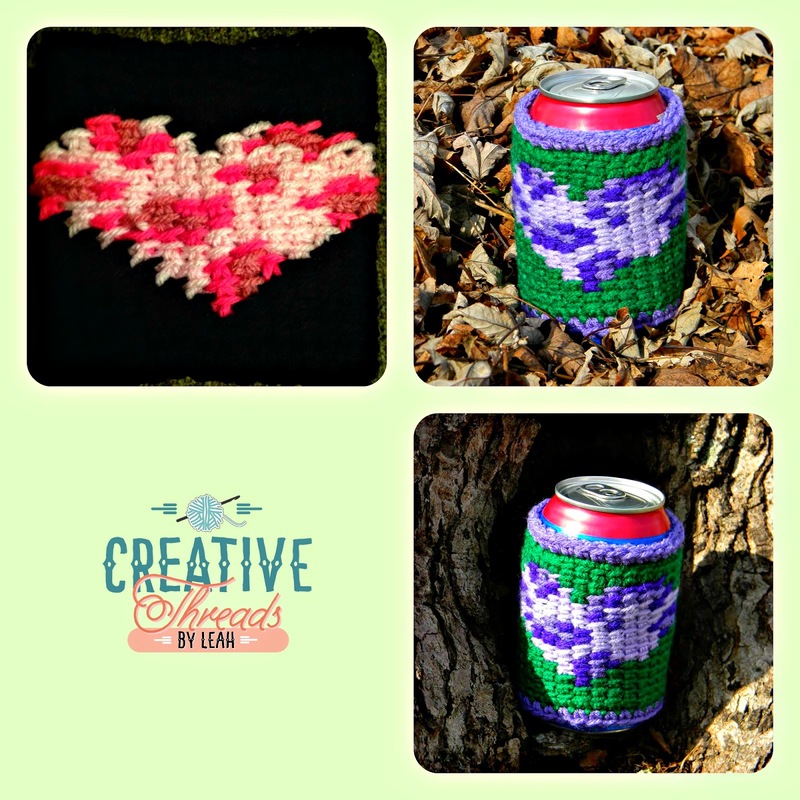 This pattern is also available as a PDF for $1. This is to help offset the cost when I lose traffic because you no longer have to come to the blog. To purchase this pattern, please visit my store. The finished sleeve will have an approximately 9.75 inch circumference if gauge is met and should fit a can or cup with an 10-11 inch circumference. I count each box made as a stitch in Tunisian. 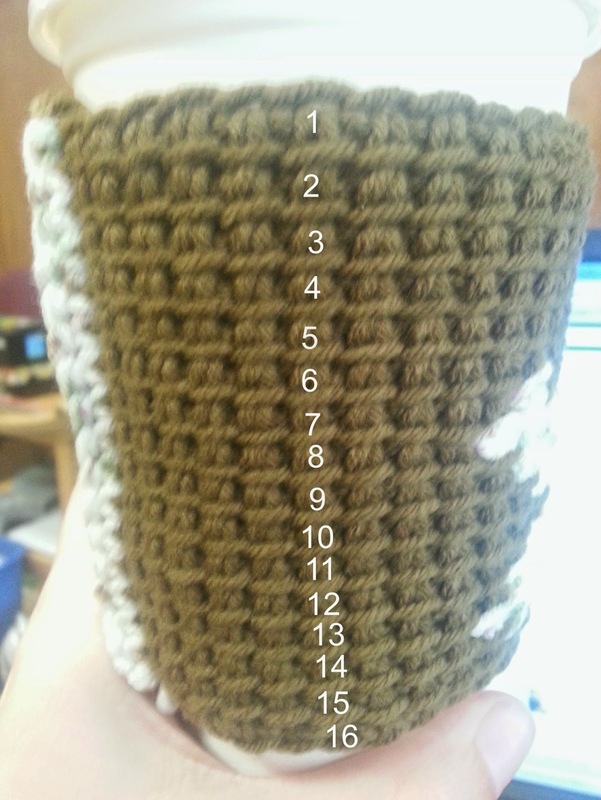 Single Crochet to fit cup: Odd numbered rows on the graph will be worked right to left, and even numbered rows on the graph will be worked left to right. 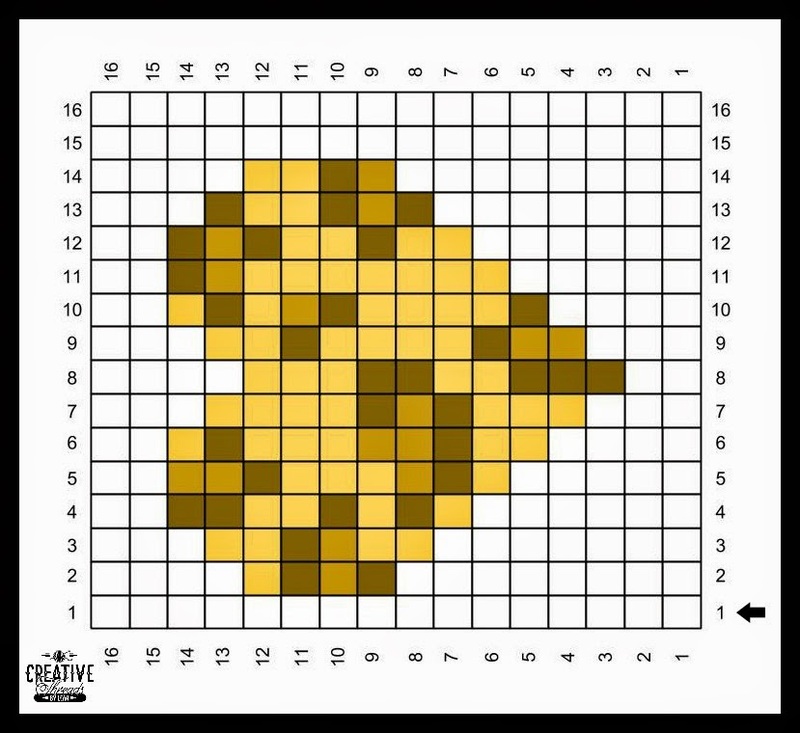 Tunisian to fit cup: When working Tunisian each row has the forward and return pass. Each row on the graph is read right to left. Using a tapestry needle, mattress seam or whip stitch short ends together. Or sl st ends together using hook. For graphs that need details stitched, use tapestry needle to stitch details or surface crochet. Buttons can be used for eyes, noses, etc, if desired. Don't forget to check out my sale, details on this post.